When Jeremy deciphers part of Franz Hopper’s journal, he comes across an interesting theory about multi-agent systems. It states that while a lone, small program working alone is incapable of the slightest imaginative response, a group of small programs working together is said to be capable of performing highly-complex tasks. Jeremy believes that a program of this nature would be a fantastic weapon to use against X.A.N.A.! On the basis of this latest discovery, Jeremy creates a new program he calls, “Marabounta!” He launches it. At first, “Marabounta” is an effective weapon for our heroes against X.A.N.A.’s monsters, but before long, things start going horribly wrong! Our heroes are in science class with Ms Hertz. The study is focused on ants and the operation of an anthill. An ant isn’t capable of much on its own but by following precise orders, the ant population is capable of performing great tasks! Jeremy is inspired by the idea and tries to produce something similar. 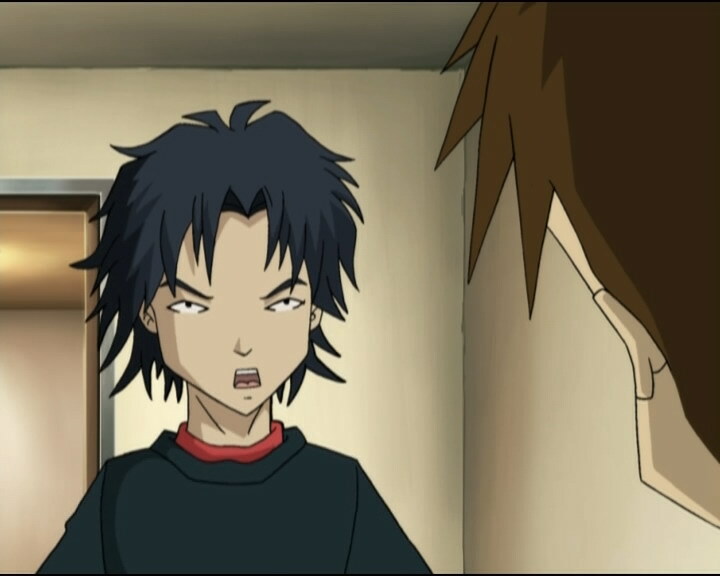 His friends don’t share his enthusiasm and go about their business; homework for Aelita, skating for Odd, going to the pool with William for Yumi, and spying on Yumi at the pool for Ulrich. Meanwhile, Jeremy has made progress on his project, naming it after the army ants of South America: Marabounta. Taking the concept of the anthill, his program is a multi-agent: a group of small black spheres, each one capable of localising and attacking only XANA’s monsters. And even if one sphere alone is powerless, an army is devastating. While the Marabounta’s black spheres spread over the Forest Sector forming blobs, Jeremy calls his friends so they can come see the results. 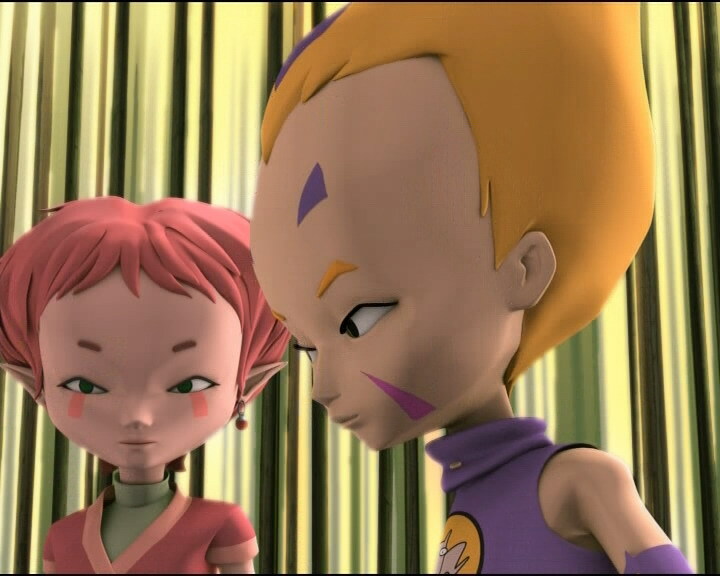 Ulrich refuses stubbornly and Yumi is unreachable, so only Odd and Aelita go in. They then find the unmistakable: the Marabounta is destroying XANA’s monsters without mercy and even if they resist, the spheres still outnumber them. 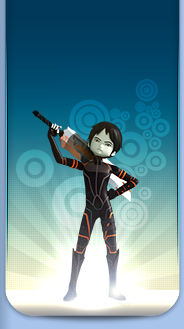 Jeremy is self-satisfied; in their absence, the Marabounta will destroy all of XANA’s monsters. 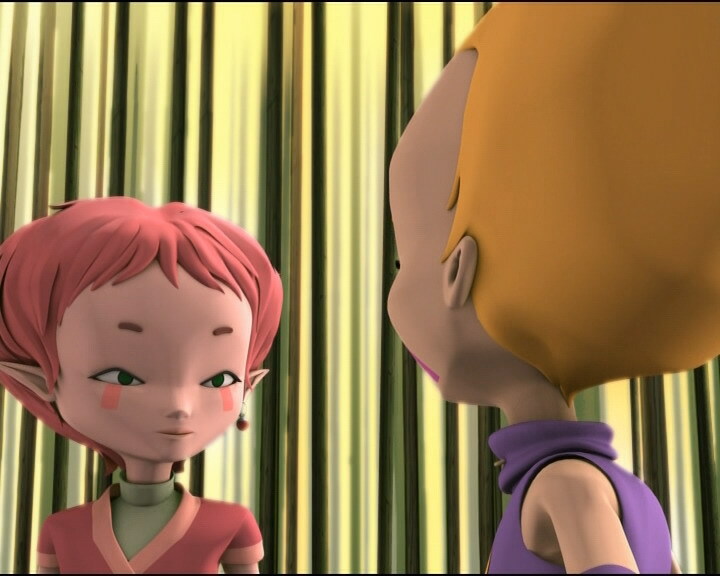 Jeremy suddenly realises his error: the virus XANA implanted in Aelita makes the Marabounta think she’s a monster… In addition, the brainiac loses control of his program which refuses to be deactivated; Aelita needs to get to a tower as soon as possible to get back to Earth. Spreading at an impressive speed, the Marabounta cuts access to the tower and the heroes are once again cornered. Having no other solution, they try to gain time, and it’s the combined forces of Odd and XANA that hold back Jeremy’s program, firing a barrage of lasers and laser arrows at it, with Yumi virtualised as reinforcements! On Earth, in another twist, William goes in person to talk to Ulrich and ask for an explanation… He lectures the teen and tells him curtly that if Ulrich doesn’t talk to Yumi from the heart, William will! 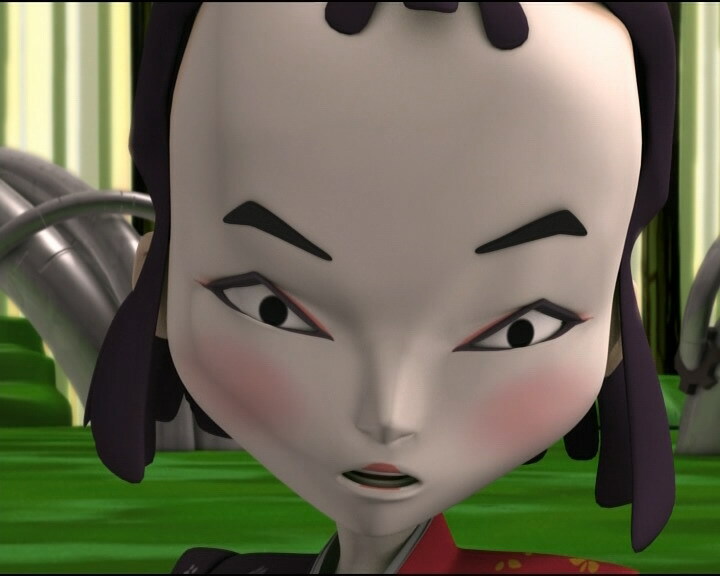 Swallowing his pride, the young martial arts student goes to the factory and goes to Lyoko just as Yumi is swallowed up by the Marabounta, which is progressing inexorably. Jeremy then tells his comrades he was able to develop a program to destroy the Marabounta, inserted in one of Odd’s arrows to be shot at the first sphere of the Marabounta to destroy the whole program. The first sphere is floating a metre above the ground, but is protected by its offspring. Odd climbs onto a Krabe’s back to traverse the sea of spheres and destroy Jeremy’s fiasco! In a colossal explosion, the spheres evaporate: Aelita is saved. The heroes then turn a worried eye to their enemy’s monsters. However, the monsters bow respectably and leave, without any aggressiveness, leaving the virtual fighters silent. - First alliance between XANA and the heroes. - Jim says he has a first aid certificate. - The fact that XANA’s monsters bow respectively shows that XANA has conceived some human-like values such as recognition. - Sissi has been in love with Ulrich since pre-school (though in the English dub she says elementary school), saying that “fairytales or cheap, magazine-style romance stories” aren't her thing. William says he believes in true love. - William tells Ulrich that if he doesn’t talk to Yumi, he will. Moreover, we learn from Sissi that William has been at Kadic for a few months and that he’s a boarder. - The factory microphone disappears in one shot. - The silver part on Aelita’s dress is purple when she says she has Italian homework. - The marks on Odd’s face and his hair splotch disappear in two shots when he tells Jeremy he doesn’t want to end up like chewing gum. 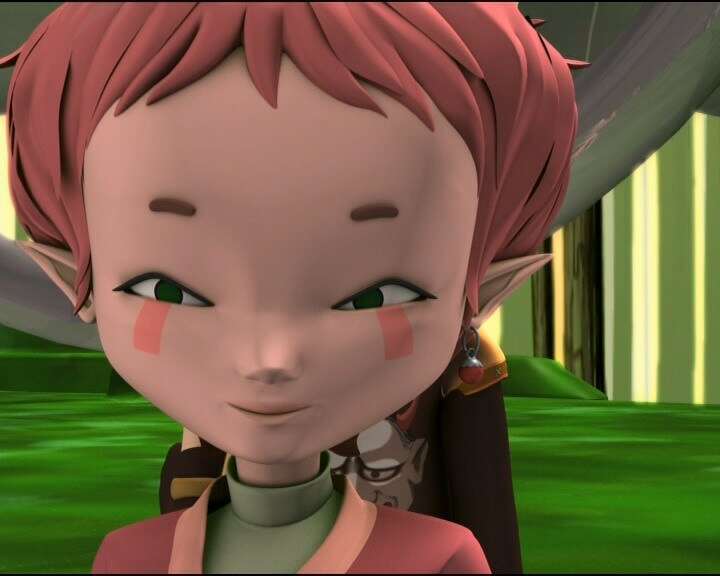 - The pink marks under Aelita’s eyes disappear in one shot before the Krabe saves her. - The colour of Ulrich’s board shorts change after William dives. - When William resurfaces while saving Ulrich, for a second he has Ulrich’s hair colour, then it changes back. - The students in Ms Hertz’ class are from mixed classes. - At the pool, Sissi’s hair changes suddenly (sometimes in a ponytail, sometimes like normal). - Herb’s hair is entirely black when Sissi asks Ulrich if he’s ok after what happened at the pool. - When Yumi takes her skateboard, we can see Jeremy’s scooter and Odd’s board, when that shouldn’t be the case. - Odd’s pants are entirely the darker shade of purple when he asks if Ulrich is ok, when he gets a call from Jeremy, when he tells him that Ulrich is sulking, and when talking about what happened at the pool. They become the lighter shade of purple when he tells Jeremy not to play mad scientist again. - Yumi’s swimsuit is entirely the one colour before we see Ulrich climb up the diving board, after William asks Yumi to come swim, at the moment when she helps William to get Ulrich out of the water, when Jim arrives, and when she jumps from the diving board. Her swimsuit becomes entirely the darker colour after Sissi tries to give Ulrich mouth-to-mouth. - A Tarantula and Krabe join the line of bowing monsters after the Marabounta is destroyed, despite them all being destroyed beforehand. The other Bloks and Kankrelats also disappear, leaving one of each. 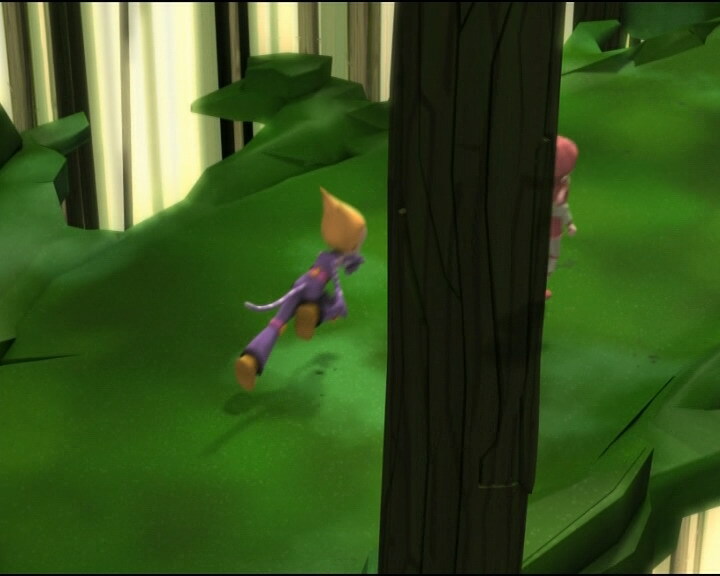 - When Yumi is talking to Jeremy on the phone, we can see a large cat-like plush toy in the corner of her room. When she stands up, it disappears. 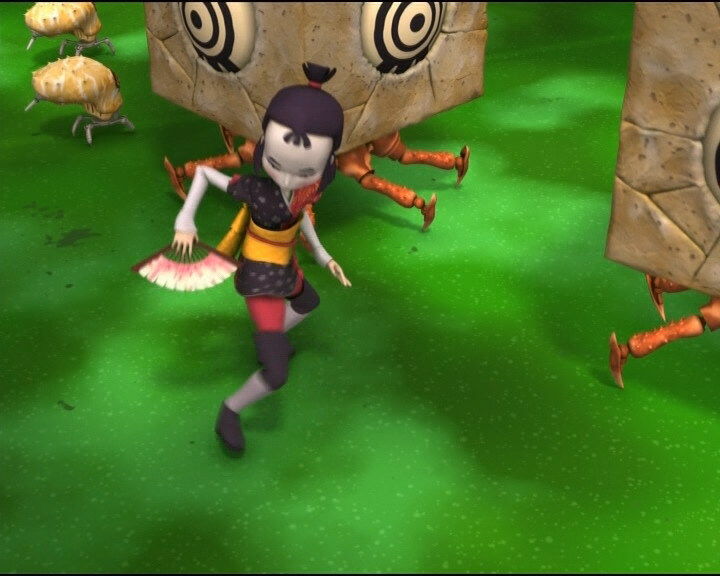 - Second exploitation of Franz Hopper’s journal which allows Jeremy to create a multi-agent system called Marabounta to try and weaken XANA, but unfortunately he forgot about Aelita’s virus, which makes the Marabounta see her as one of XANA’s monsters. - First mention of multi-agent systems. - First argument between William and Ulrich. - Reappearance of the magazine Sissi read in episode 2, “Seeing is Believing”! - Yumi’s phone number changed, it’s now (33)665-321-258. - Jeremy names his program after a phenomenon that exists in the real world: marabounta (which is sometimes written without an O). It’s a Brazilian word denoting a massive migration of army ants which devour anything edible in their path. Chattanooga is the fourth-largest city in the state of Tenessee in the USA. Odd: You mean that an army of Sissis could be intelligent? Huh, I don’t believe it! 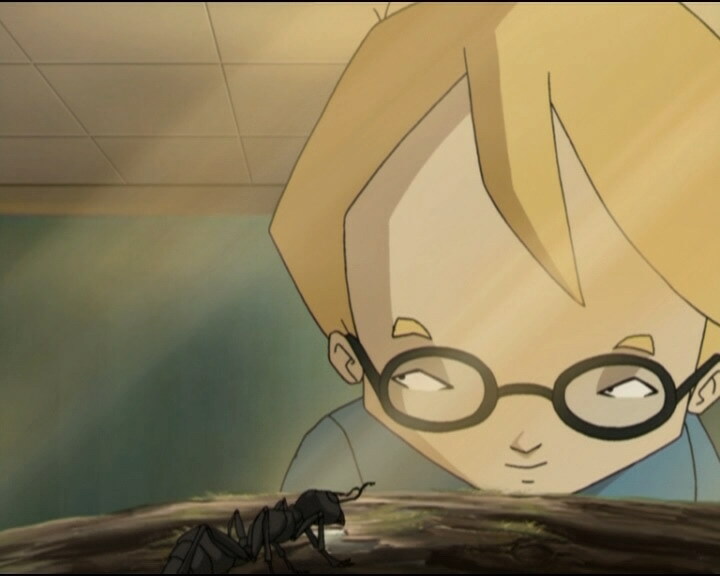 Ulrich: What about killer ants? Do they exist? Ms Hertz: Well, yes, maybe in movies, Ulrich! Ms Hertz: Down there the phenomenon is called Marabounta. Sissi: Phew! I’m glad I live in a country where there’s no danger! Odd: Saturday’s my favourite day, no school in the afternoon! Ulrich: I like Sundays better. No school at all! Odd: Oh no, Ms Hertz has already bored us to tears with all that ant stuff, don’t you start now! Jeremy: What about you, Ulrich? Are you doing anything later on? Ulrich: Yeah, I’ve gotta be somewhere. Maitena: Oh, call somebody! He looks like he’s…he needs mouth to mouth! Sissi: Get out of the way! Jim: Let me through! I’ve got a first aid certificate! Jeremy: Yes!!! Franz Hopper, you’re a genius! And so am I! Odd: Jeremy’s called a meeting at the factory. You coming? Ulrich: I’m not in the mood. I’d rather be by myself. Odd: Come on! If you don’t come, he’ll get mad! Odd: Ok, suit yourself. Both of you can stay here! Odd: Yeah, you and your bad mood! Jeremy: Ah, there you are! But where’s Ulrich? Odd: He’s sulking. I don’t know what his problem is! Jeremy: It’s Marabounta, my own creation! Jeremy: If there’s the slightest problem, I’ll pull the plug. Promise. William: Have you been crazy about Ulrich for a long time? Sissi: Have you been crazy about Yumi for a long time? Sissi: You’ve only been here for a few months. William: Don’t you believe in destiny with a capital D? Two people who’ve never met, but who are made for each other? Sissi: No, I’m not really into fairytales or cheap, magazine-style romance stories. I’ve had a crush on Ulrich since elementary school. I wanna go out with him, that’s all there is to it. Odd: Pretty…scary. I never thought I’d ever say it, but I real feel sorry for XANA! 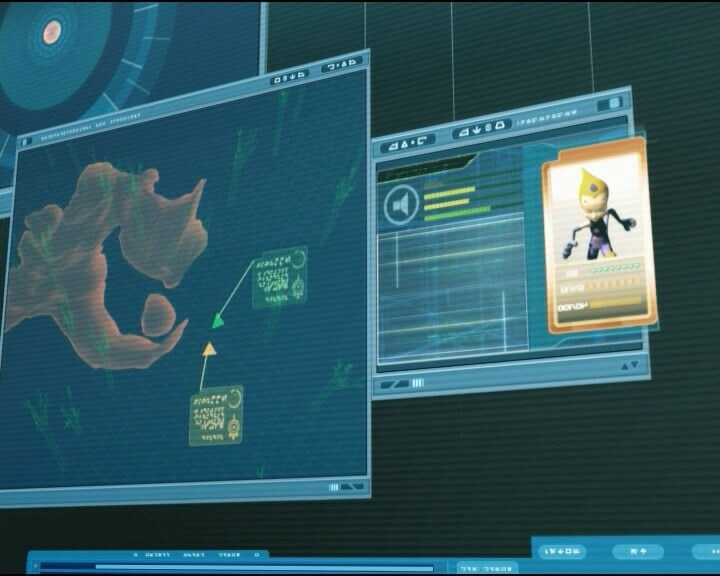 Aelita: I’ll uplink you a visual, Jeremy. Jeremy: It’s working even better than I thought it would! Odd: If you want my opinion, Einstein, you’ve invented yourself a nasty piece of work! 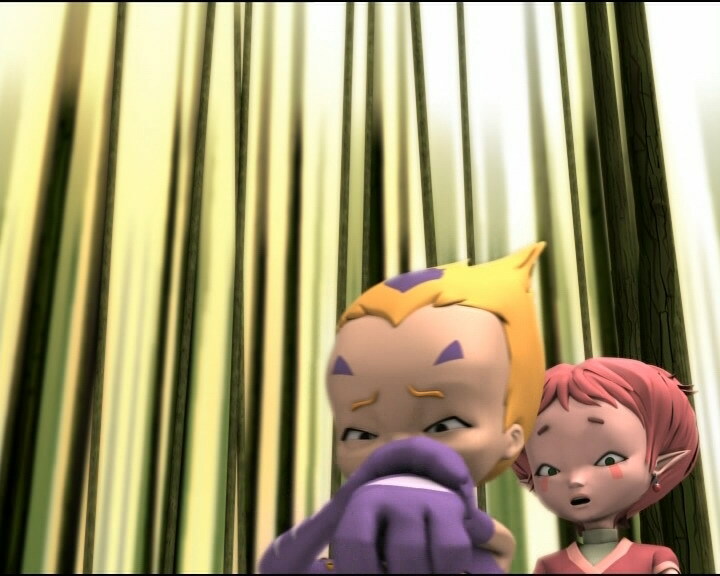 Aelita: Jeremy, I’ve…seen enough. I want to come in. Jeremy: This is no time for jokes! I programmed it to attack XANA’s monsters only! Odd: Well…could you program some eyeglasses for it then?! Jeremy: Huh?! This can’t be right. Did you do something special? Odd: No! Except for firing a few laser arrows! Jeremy: It’s my fault! It’s the virus implanted in Aelita! The Marabounta thinks she’s one of XANA’s monsters! Odd: Great! Nice work, Frankenstein! I thought we had nothing to worry about! Jeremy: Oh no! Oh no! Oh, no, no!!! Odd: Whenever you’re ready, Jeremy! Jeremy: I can’t deactivate the program! It seems that the Marabounta doesn’t wanna die! The Marabounta’s become autonomous; it’ll submerge everyone and everything in its path! Jeremy (about Ulrich): Wow, that guy can really pick the right day to sit and sulk! Yumi: Huh?! What are you talking about? What do you mean, a Chattanooga? Yumi: I was sure I’d find you here. Ulrich: What I need is for everybody to leave me alone! Especially you. Ulrich: Spy on you? You’ve gotta be kidding. I just happened to be there, ok? Yumi: Oh yeah, right. What an incredible coincidence! Anyway, do you mind shelving your ego for a minute? Odd: Hey, what’s the matter with them? Yumi: Uwah! What is that horrible thing?! Odd: One of Jeremy’s bright ideas! Luckily, XANA’s here to give us a hand! Yumi: The world has turned upside-down! William: Uh-uh, no, that’d be too easy, Ulrich. Let me tell you what’s wrong around here. My being around Yumi forces you to ask yourself a question, a tough question that you can’t answer. Here’s a piece of friendly advice: go and talk to Yumi, from the heart. Or else, one day, I will! And then I really will be your problem! Jeremy: I’ll never make it. I’m really the biggest loser to walk the face of the Earth! Odd: Whatever you do, don’t let it make any headway. It’ll attack from the rear! Yumi: You’re a really good combat general, Odd! Odd: It takes strategy, y’know? The only thing stupider than a Blok, is two Bloks! Jeremy: Wait! 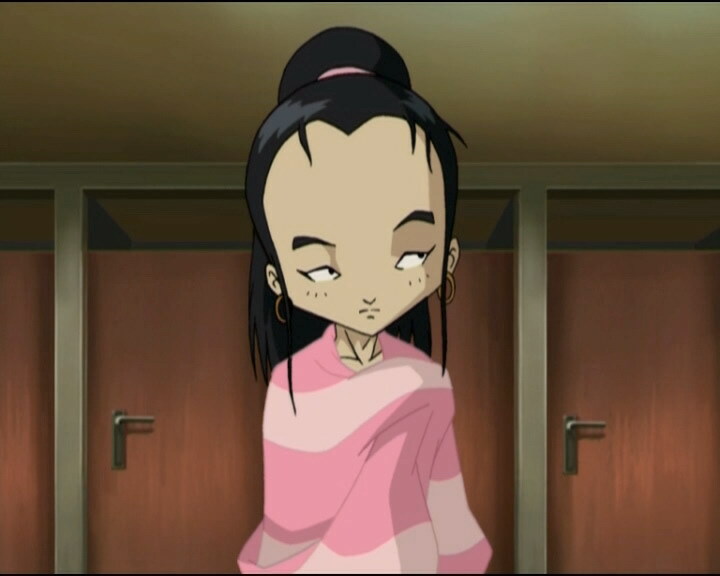 It’ll only work if you hit the first sphere, the one I transferred to Lyoko that created all the others. It’s at the heart of the Marabounta. Odd: Great, so how am I supposed to reach the heart of the Marabounta? On a camel’s back?! Odd (on the Krabe’s back; there were no available camels): Charge! Odd: Next time you wanna play being a mad scientist, clue us in a little more first, ok? Jeremy: Well I really tried to, but you all had better things to do! Sissi: Well if it isn’t the whole crew! Odd: So what happened at the pool, Ulrich? Come on, out with it!